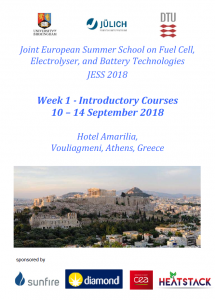 HEATSTACK has featured at the Joint European Summer School 2018 on Fuel Cell, Electrolyser, and Battery Technologies (JESS 2018). 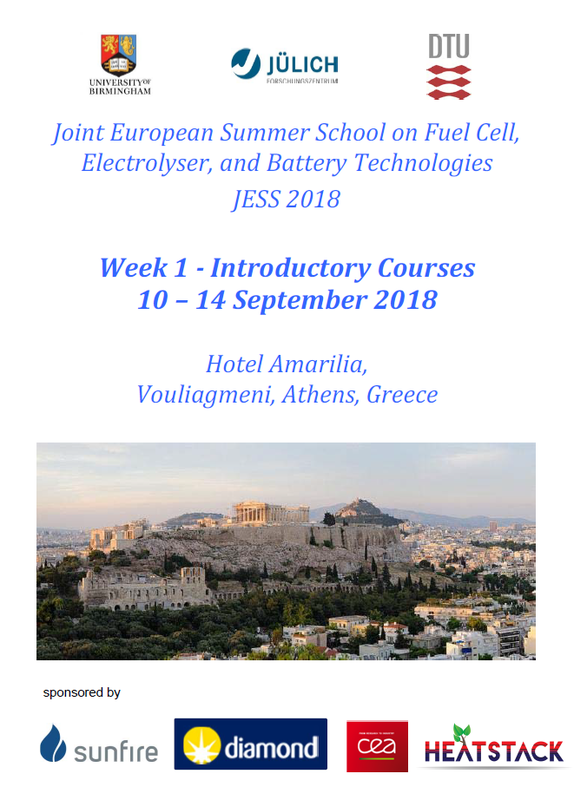 Our project, which was also a sponsor of the event, was included in the lecture “HT11: System Technology for SOEC”, which was part of the introductory classes on High temperature fuel cells and electrolysers (SOFC and SOE) and took place on 14/09/2018. 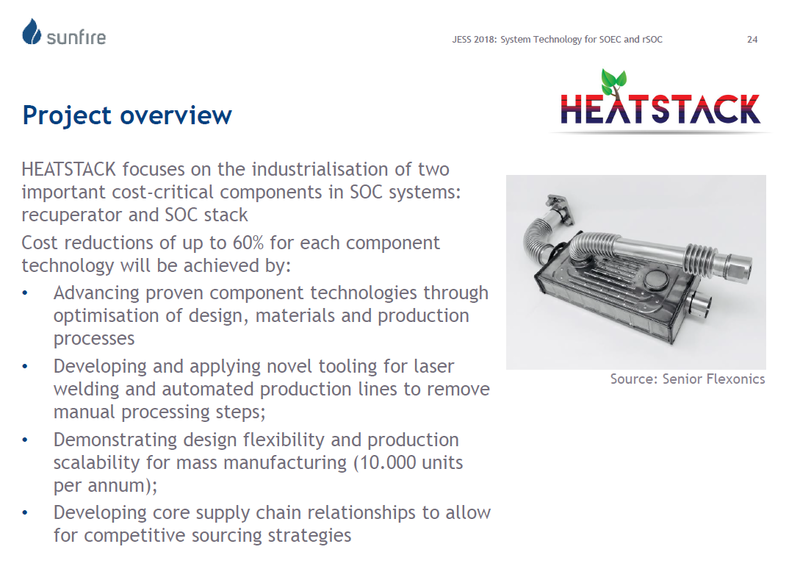 Sunfire’s Oliver Posdziech presented on topics including heat exchangers, which started off with heat exchanger basics followed by performance vs. SOEC efficiencies before introducing HEATSTACK and the project partners. Oliver’s presentation then continued with chromium evaporation of heat exchangers and featured results from HEATSTACK activity conducted by fellow project partner University of Birmingham: mass gain measurements, continuous chromium evaporation measurements, images of a heat exchanger from Vaillant (another of our project partners) that had undergone testing, and conclusions. The project overview from Oliver’s presentation is shown below, but we cannot show the whole presentation due to the confidential nature of some content. An image of the brochure showing HEATSTACK amongst the sponsors is also shown below. The JESS is a series of summer schools that have run each year since 2004, with the extended 2-week format in operation since 2013. It primarily targets an audience of university students and post-doctoral researchers (although more experienced researchers and engineers are just as welcome), with over 600 attendees to date. Project partner the University of Birmingham are part of the organising committee, with Research Centre Jülich (Forschungszentrum Jülich), in cooperation with the University of Aachen (RWTH) and the Technical University of Denmark (DTU).